Welcome to Amateur Sophisticate Lifestyles Community where we Share, Discover and Inspire. Discussion topics; Education, Faith, Demurer, Life, Parenting and anything thing else that might pop up. 1. Play the game of Bingo this month to celebrate the creation of the game by Edwin S. Lowe in 1929. 2. 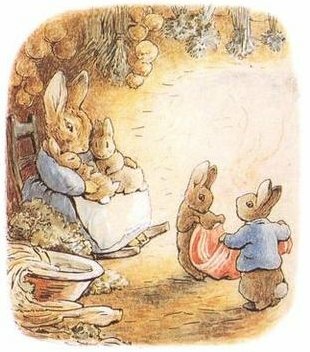 Read Beatrix Potter self-published "The Tale of Peter Rabbit" 12/16. 3. Visit an Autonomics center on 12/17 to recognize First Flight of the Wright Bros.
4. Out door activities of building snow men, forts, and add some food coloring to a bottle of water for the children to spray paint the snow Winter Begins 12/21. 5. Learn about the Endangered Species to recognize the Act being enacted on 12/28. You have been featured at "The Frugal Free Gal!" Thank you for commenting at MckMama Community on The Blog Frog! 10 Tips for Planning a Unique Baby Shower.